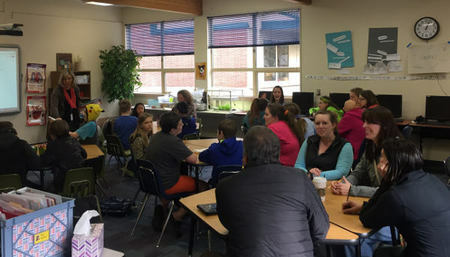 Parents or guardians have the support of Washington State Certified teachers who partner with them to design a student learning plan to help guide and ensure student success. If your child has specialized learning needs, we offer local access to special services offered by trained providers to assess and address the learning needs of your child. Because we are located here in your community, we are able to provide opportunities for student-­to-­student and student-­to-­teacher interactions. These learning activities include field trips, literature circles, collaborative science labs and more. Through the Lewis River Academy your child can have access to specialized courses provided by the district through co-enrollment. To find our more about this option, contact one of our representatives. Instructional materials made available through Lewis River Academy are exceptional and engaging; covering both the core subject areas and electives. All the textbooks and instructional materials are delivered right to the family's doorstep-­including books, CDs, and even materials for science labs. LRA's comprehensive K-8 program provides young minds with a learning environment like no other. We combine dynamic curriculum, teaching and support, a strong community, and special services into powerful, effective schooling. We offer over the core courses: Language Arts/English, History, Math, Science, and PE. These are developed from the ground up with rich, challenging and engaging content, designed specifically for online delivery and individualized learning. It's not all "online": You'll also receive boxes of traditional materials, including award-winning textbooks, CDs, videos, and hands-on materials that complement online learning. The combination of interactive online lessons with offline materials cater to varied learning styles, allowing the widest variety of students the opportunity to master lesson objectives.